Infertility is a disease according to the WHO, affecting 1 in 6 couples. In vitro fertilization (IVF) is a rapidly evolving technology that has been used for the treatment of human infertility for over 40 years, with over 8 million babies born worldwide. IVF outcome depends on complex interactions of numerous patient and treatment-related parameters. A wealth of IVF data is exponentially accumulated. As a result, we have the opportunity, but also the challenge, to analyse these "big IVF data" to make predictions, facilitate clinical decisions and tailor fertility treatment. 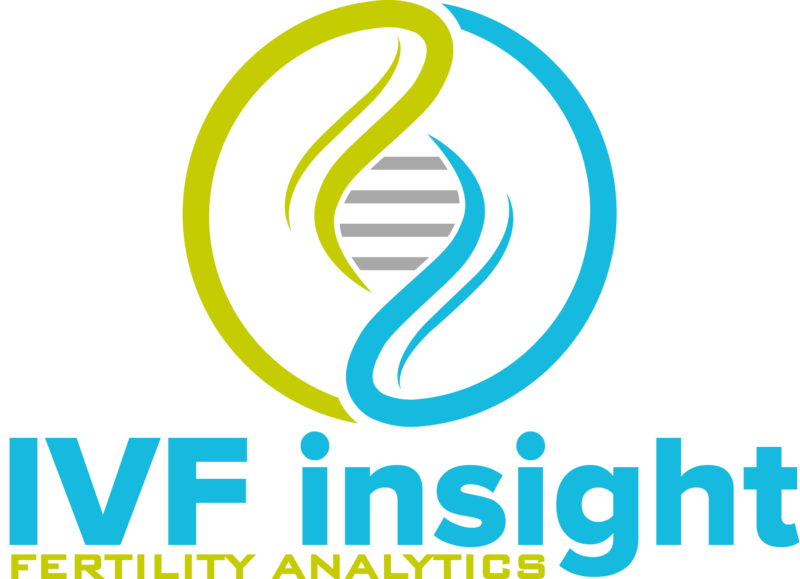 We are developing "IVF Insight", an AI-powered application to rapidly inform clinical decisions and make comprehensive predictions of fertility treatment. The application will be based on extensive data collected from infertility patients in order to createdetailed unique patient profiles. We will achieve this by using DNN to analyse key digital data collected from electronic patient records, wearable devices, genomic analysis and automated embryo imaging. Our DNN application, IVF insight, will provide fertility experts with estimates of the chance of successful pregnancy and live birth, but also of adverse events, such as miscarriage, multiple pregnancy or birth defects in the offspring. In addition, IVFvision.ai will facilitate informed decisions from the early pretreatment stages, through to the choice of the best drug regime, method of egg fertilisation and duration of culture, until the selection of the best embryos for transfer or cryopreservation. IVFvision.ai will advance the clinical decision-making process, improve patient experience through more accurate counseling, provide cost efficiency, and boost success rates by identifying optimal personalised treatment pathways. We have analysed extensive clinical IVF datasets and now we continue with embryo images with known pregnancy outcomes (retrospective analysis) to build predictive models. However, we will make a difference by incorporating a prospective phase of patient recruitment. This phase, performed in collaboration with partner UK fertility clinics and genetics laboratories, will involve the collection of additional data from patients undergoing IVF treatment. The model makes combined analyses of patient-derived and embryo-derived data collected from four distinct sources. We utilize Artificial Intelligence to improve IVF outcome. AI-powered blastocyst image analysis combined with embryo morphokinetics and time-lapse technology for the automated non-invasive morphological assessment of embryos during culture in the laboratory:Selecting the right embryo during IVF treatment is critical to ensuring a successful outcome. However, embryo selection is typically a manual and imprecise process. One of the biggest challenges is selecting a viable embryo. At present, this is usually done by eye and is based on the good judgment of the embryologist. Business Insight applies AI-driven image analysis that can achieve higher accuracy and reproducibility than human operators in the selection of viable embryos. Instead of a human looking at thousands of images, AI looks at them and is capable of learning all the time. Using a Deep Learning system built with Convolutional Neural Networks (CNN), we train it with past images of embryos of known pregnancy outcomes. Automated embryo imaging will offer further personalization and accuracy allowing an embryo-based selection at the stage of embryo transfer to the uterus. This is an innovative and exciting technology combining state of the art embryology with new advances of AI Computer Vision all with the aim of selecting the best possible embryo for transfer to give patients the best possible chance of having a baby. Electronic patient records, with detailed and extensive features/variables (deep phenotyping): Incorporating various features related to patient demographics, baseline characteristics, ovarian reserve tests, ovarian stimulation and embryological data will improve pattern formation and greatly enhance the model’s predictive performance. Wearable devices worn before and during treatment: The measurement of parameters such as heart rate, sleep patterns, physical activity etc will provide information on how lifestyle patterns may affect subsequent infertility treatment. DNA analysis of patients using the latest technology of whole genome amplification/next generation sequencing:The concept of precision medicine relies on a thorough understanding of the consequences of unique features of individual patients, such as environmental exposures and genetic profiles. A key component of implementing individualized care in this paradigm will be genomic profiling.Compared with single gene tests, whole genome sequencing offers the possibility of a more comprehensive and efficient risk evaluation. The predictive performance of our digital application have been validated and we continue validations in different clinical settings. This is achieved by using the IVFvision.ai platform in a number of UK fertility clinics. The predictive ability of the system needs to be robust and efficient under different protocols, methodologies, equipment, staff, and also different patient populations. In the clinical space, artificial neural networks (ANN) are adaptive learning algorithms that can handle diverse types of medical data and integrate it into categorized outputs. An ANN represents a combination of a learning, self-adapting and predicting system. Recent technological advances have allowed ANNs to become more sophisticated using deep neural networks. The special characteristic for DNNs are the “learning through training” modality, resembling the capacity of the brain to learn, assimilate and recall this knowledge in anticipation of a future event. Through trained learning, the network self-adapts and changes its structural characteristics; this is based on the information that flows through the network neurons. DNN allow for more complex and larger data sets to be analysed and interpreted. Given the complex interaction of various parameters that determine the outcome of a pregnancy, this has opened the potential for IVF pregnancy outcomes to be predicted accurately. The deep learning process is set out graphically. A deep neural network (DNN) is an artificial neural network (ANN) with multiple layers between the input and output layers, hence the name "deep" networks. The DNN finds the correct mathematical manipulation to turn the input into the output. The network moves through the layers calculating the probability of each output. For example, a DNN that is trained to predict IVF result will go over the given data and calculate the probability that the woman will give birth. Convolutional neural networks (CNNs) emerged from the study of the brain’s visual cortex, and they have been used in image recognition the last few years. Thanks to the increase in computational power, the amount of available training data, and the use of deep nets, CNNs have managed to achieve superhuman performance on some complex visual tasks. They power image search, self-driving cars, automatic video classification systems, and more. Inspired by how human vision works, layers of a convolutional network have neurons arranged in three dimensions (width, height, and depth). A CNN consists of an input and an output layer, as well as multiple hidden layers. The hidden layers of a CNN typically consist of convolutional layers, pooling layers, fully connected layers and normalization layers. © 2019 Business Insight Co. All Rights Reserved.